Sometimes, you need dental work to help perfect your smile and repair or replace damaged or missing teeth. Crowns and bridges are two treatment options that can help you with these dental issues. What is important is getting to know more about these dental treatment options so that you can be sure you get the care you need when you need it. Dental crowns are an option in dental care that can do a great deal for the function and the aesthetics of your teeth and smile. If you have had an infection in your dental pulp (the soft tissue inside the tough outer shell of your teeth) and need a root canal treatment to remove that infected tissue and prevent the infection from spreading, you can use a dental crown to protect the remaining dental pulp and hard structure of your teeth. Dental crowns can also help in other situations. 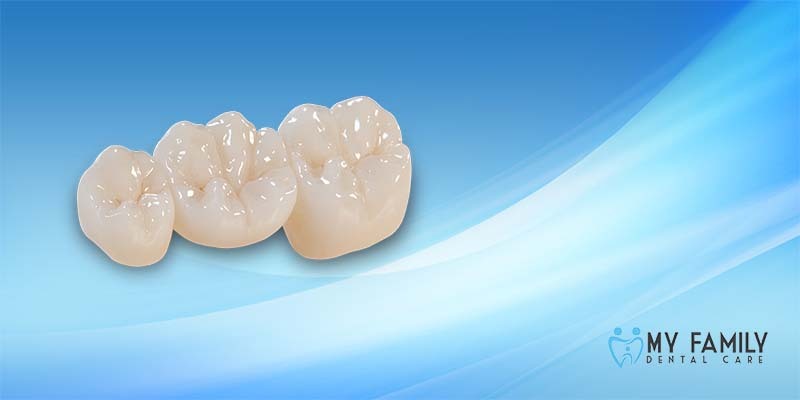 For example, dental crowns can be placed on the tooth when you have had to get larger fillings to provide added protection and to cover up the filling. They can also be placed over teeth that have been chipped or have suffered cavities. A dental bridge, on the other hand, is a solution for a person who has lost one or more teeth due to infection, injury, or other health problems. In order to be able to get a dental bridge, you will need to have teeth adjacent to (next to) the area where your tooth or teeth are missing. The bridge is a device that attaches to the healthy teeth around a gap. The artificial replacement teeth are suspended (like a bridge) over the gap. This is an effective way to replace a single tooth or multiple teeth in a row that will help to improve the aesthetics of your smile and help to keep your remaining teeth intact and in place. Now that you know more about these two dental treatments, you can be sure that you book an appointment as soon as possible if you have teeth that need repair or replacement.